Product Reviews and social-proof from customers about their purchases to help other buyers make informed decisions. "It was a great product, nothing less from what I expected." "So far very happy with my purchase. " 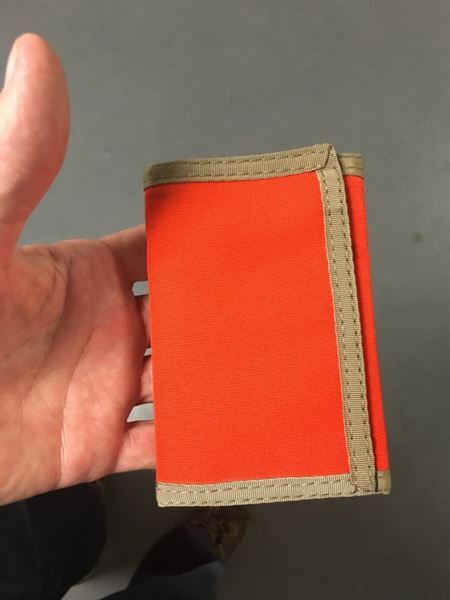 "I am completely convinced this is the best wallet out hermit can hold so many cards, receipts, cash, and even challenge coins all in a super small amount of space. Wallet is super durable and will probably last me past ten years. If you are looking for a durable, capable, and high quality wallet. This is what you're looking for." "Great product and true to size. Great service!" "Just what I wanted Good quality!" "I am impressed with your website; easy to use, fast check-out, fast shipping. Very nice wallets by Rainbow of California among other products made by USA companies. " "Best Experience High freight rates to germany"
"Hat way too big I usually wear an Xtra Lg and thishatis like Xtra Xtra Lg. Get a LG "
"Purchased this for my step father who is currently terminal. He was in tears! Loved the blanket so much! Thank you for your website! " "This was a Xmas gift. " "Gave this gift set to my brother. He was thrilled."